In a nutshell: Freeview is the cheapest and easiest way to get digital TV, including HD channels. With a Freeview+ box you can pause, rewind and record live TV too. 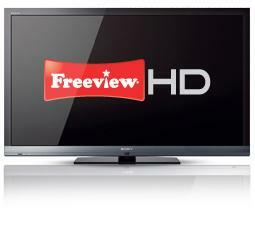 Freeview is the quickest and cheapest way to access digital TV, since all you need is an aerial and a "set-top box". Most modern TVs come with a built-in Freeview tuner, so you can probably just plug it in and go. Following the digital switchover, most parts of the country have pretty good Freeview reception, although there may be local variations, and if you are borderline, you may not be able to receive some or all channels. With digital TV, signal quality remains good until the reception becomes really poor, and then sound and picture quality fall off the "digital cliff". If this happens in your area, you could consider a new aerial, a signal booster, or else switch to cable or satellite. There's a very wide range of Freeview boxes, from the cheap and basic to the modestly expensive and sophisticated. These will include access to HD channels and Freeview+ personal video recording (PVR). The choice of channels is limited compared to subscription services like Sky and Virgin, but there are still a lot of channels available. Of course all the essentials like BBC, ITV, Channels 4 and 5, Dave and Film 4 are here, as well as over 20 radio channels too. There are also 4 HD channels available if you have a HD Ready TV and a HD Freeview box. There are a lot of things to like about Freeview, the most important one being that it's free. It's also very simple to get installed, although some of the Freeview boxes require a bit of technical setup before you can start watching. The vast majority of properties in the UK should have good reception on Freeview, so there's little reason to choose a more expensive option unless you want the premium channels or extra features. The introduction of Youview makes extra content available without a subscription, provided you have the right kind of Freeview box and a suitable internet connection. Can I connect a Humax HDR-2000T to a sattalite dish? No, the Humax HDR-2000T is a Freeview box, not Freesat. Great and free the reception im hoping will be better after switchover. Its great theres more free channels to enjoy so much so we hardly use 1-5 anymore great value.